The first Hindu to run for the top job in the US is totally at ease with handshakes and namastes and floats around crowds, equally comfortable with hi, hello and Aloha! A remarkable wind of change that swept the United States in the recently concluded mid-term elections saw a record number of female lawmakers sent to Washington DC. The elections also saw a record number of women contesting polls nationwide for national and state legislatures as well as gubernatorial posts. 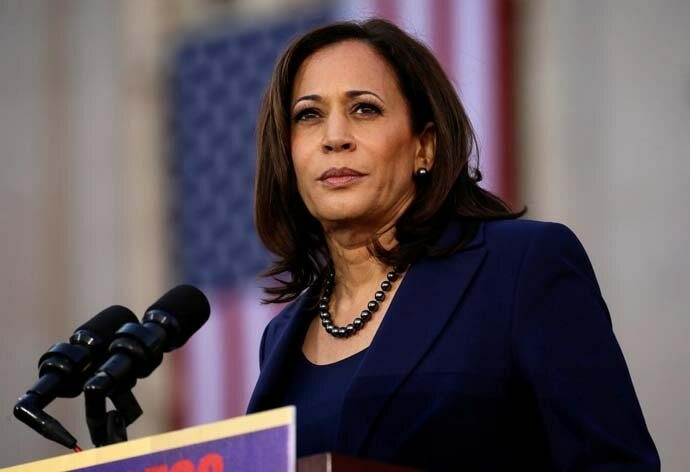 The impending 2020 presidential race already has five women from the Democratic Party who would like to have an opportunity to challenge Donald Trump, the incumbent Republican, for the top post. The list includes Elizabeth Warren, Tulsi Gabbard, Kamala Harris, Kirsten Gillibrand and Amy Klobuchar. Among all Democratic presidential contenders, Tulsi Gabbard stands out for various reasons. One reason is that many pundits consider Gabbard an underdog as well as an outlier in the Democrat establishment. Owing to her differences with the ‘establishment’, she had resigned as the vice-chair of the Democratic National Committee (DNC) during the 2016 presidential elections. She had endorsed the candidacy of the Vermont senator Bernie Sanders against the eventual nominee Hilary Clinton. DNC is the governing body of the Democratic Party and it organises the Democratic National Convention to nominate and confirm its candidate for the post of US President. But Gabbard does not fit a cookie-cutter definition of a democrat. Barring her early years in politics, she has been progressive on social issues. Being a veteran, she has a rather pragmatic approach towards wars and military engagements. On occasion, she has gone against her own party and its leadership. She has refused to take corporate contributions for her campaign. She depends heavily on her army of volunteers and small individual donations. 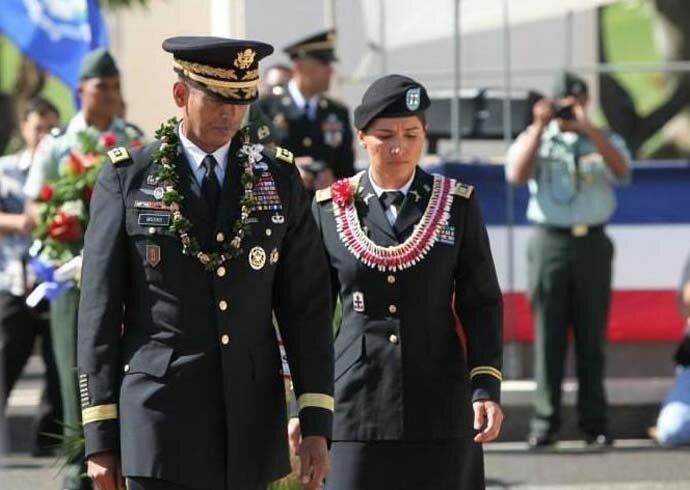 After formally announcing her candidacy in an elegant sun-kissed ceremony in her home-state of Hawaii, she hit the campaign trail like any other candidate. She was in Chicago this past weekend, attending fund-raisers and community meet-and-greet events. It was during one of those community events that I had a chance to meet Tulsi Gabbard briefly. She was to attend the Saraswati Pooja celebrations at a local Kali Bari. This old church building, in Glen Ellyn, a southwest suburb or Chicago, was recently purchased by the local Hindu community and converted into a temple. The parking lot was full almost 30 minutes prior to Gabbard’s arrival and one had to look for spillover parking on nearby streets. It was freezing outside, brisk and sunny — but inside this small building was milling with an enthusiastic crowd, dressed in their best Indian attire. There was an air of impending Basant inside the building. A huge idol of Lord Shiva welcomed everyone right by the entrance. Inside, one could hear the chanting of mantras by the priest. Gabbard arrived in time for pushpanjali. She was led inside the mandir, accompanied by a small contingent of ISKCON devotees (with jhaal and dholak) singing and dancing to the tunes of ‘Hare Rama, Hare Krishna’. After offering pushpanjali, Gabbard made a short speech. The crowd made loud cheers twice, first, when she mentioned that she was the first Hindu to be elected to the United States Congress and then, when she said she was the first Hindu to ever run for the US top job. It is hard to avoid the ‘girl next door’ feeling when one sees her interacting with the crowds. She is totally at ease in handshakes and namastes and floats around in the crowd with equal comfort saying hi, hello and Aloha! 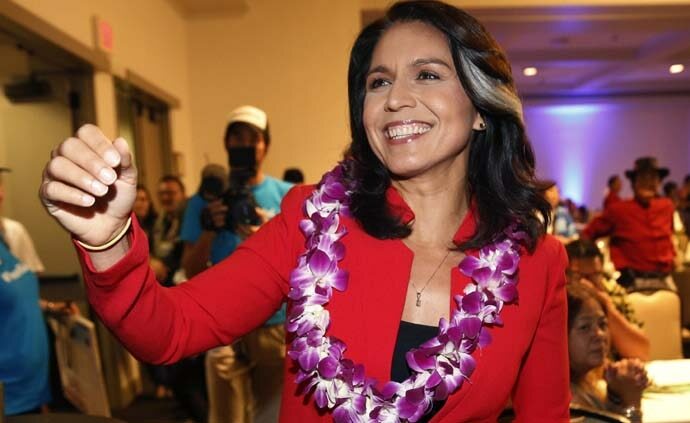 In fact, Gabbard, whether in the US or anywhere else in the world, always opens her speech with ‘Aloha’. “When I ‘Aloha’ you, I’m greeting you with an open heart, with respect, with care, and love,” she says. Mild-mannered and respectful, she is also firm and confident. She remains calm, collected and focused on her message even when she is pushed in conversations. The Hawaii native is an avid surfer. Surfing is her way of connecting with nature and the environment. “My love for the ocean is coupled with the practical reality of what we see here in Hawaii, of what happens when you don’t take care of our home, and our Earth,” she says. Gabbard is also a yoga enthusiast. When at home in Hawaii, you can also find her doing yoga and meditation on the eastern shore of Oahu. “As gently crashing waves break the morning stillness, the Congresswoman stands straight and salutes the tip of the glowing sun as it rises into the clouds and flashes a light upon the water. For 30 minutes, she meditates, shifting yoga positions while the sun rises higher in the sky,” describes Chris Moody of Yahoo News of his meeting with Gabbard. Gabbard’s Chicago engagements ended Saturday night. It was time for her to leave for Des Moines, Iowa — the first in a series of states to hold the primaries leading up to the eventual nomination. This capital city of Iowa is a short flight distance from Chicago. But unfortunately for Gabbard, her flight was cancelled due to bad weather. As a result, this short flight to Des Moines turned into a five-hour (530 km) late night drive. She had to cancel some of her scheduled events. But, as a true soldier, she was undeterred and determined to make it to her events. From one battleground state to the other, it is a grueling journey. For this former soldier, this battle will be a real test of her strength and endurance. The fight to be US President will be like no other battle. A graduate of JNU and the University of Illinois Urbana-Champaign, Avatans writes on the Indic knowledge tradition, culture, history and current affairs.